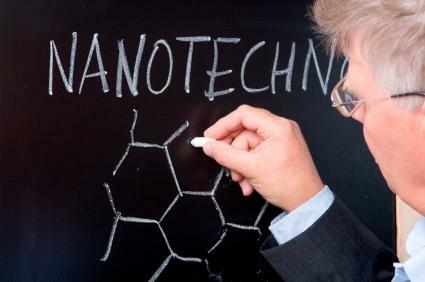 Introduction to Nanotechnology – What Is Nanotechnology? 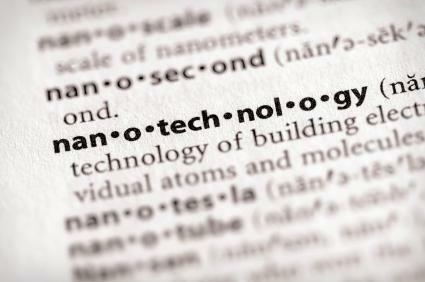 What is nanotechnology? There are numerous introductions to nanotechnology available on the internet but it is still difficult to understand exactly what it is. By definition, nanotechnology is the science of microengineering. Microengineering is the science of engineering that deals with particle manipulation if those particles are smaller than 100 nanometers. Atomic and molecular manipulation is the essential core of nanotechnology. This science is used to create applicable particles. Any introduction to nanotechnology is likely to be a bit hard to grasp on a rational level for those who like to deal in the concrete. However, it should be stated that one can visualize the concrete from the results of the particle manipulation. It is often the basics of our everyday materials. Some of the earliest instances of nanotechnology include the manipulation of materials to make new materials. Rubber, static electricity, and the atomic bomb are considered by many to be the early rudimentary stages of nanotechnology. From those early grass roots, nanotechnology has grown into a realm of science all its own. Now, the smallest particles are manipulated into products that many of us rely on without knowing that nanotechnology had anything to do with its production. Sunscreen is a product of nanotechnology. The zinc or titanium oxide found has been recently created by nanotechnology. While zinc oxide, as well as titanium oxide, has been around without the help of nano. A sunscreen or sun block that was created without the help of nanotechnology will stay white on the skin for a long period of time. Nanotechnology not only helps make the application process faster and cleaner, but it also provides for smaller particles that coat the skin better which provides much better sunscreen protection. Rash guards with UV protection are also the result of nanotechnology. Similar particles that protect the skin from sunburn on the beach are now coating articles of clothing to make the clothing stylish and sun resistant. For surfers, wake boarders, windsurfers, and other water athletes are saving themselves from the potential of skin cancer. Hikers and other outdoor enthusiasts are finding clothing that is protecting them as well. Your car will keep your finish longer and your eyeglasses are now less prone to scratches and gouges thank to nanotechnology. For a very simple introduction to nanotechnology all you have to do is look at the historical evolution of car finishes. Anti—scratch technology comes from the tiny particles that are now involved in the creation of coatings that make things like car finishes and eyeglass lenses last much longer. Part of an introduction to nanotechnology includes understanding the size of the particles that the scientists of the smallest bits deal with. One millimeter is about the size of a pin head. This pin head is equal to 1 million nanometers. This does not mean that all particles that are generally too small to be seen are included in the nanotechnology field. For most of us, picking out one single red blood cell is a significant challenge. However, for the nanotechnologists, this is a rather large particle since it measures 2,500 nanometers. Nanotechnology is now spreading across the many scientific fields, mostly out of necessity. Scientists of yesterday are finding a need to understand nano in order to perform their own research better. For instance, biologists need to take several comprehensive courses in nanotechnology in order to understand some of the smallest particles that keep life going. Engineers need to have a firm grasp of this very tiny scientific scale in order to build materials that will stand up to natural disasters and the force of time. The stronger we can build materials the less likely natural disasters will be to include loss of life. The tiniest of computers need to have the smallest of processors in order to make light and small computers more accessible. This will require smaller and smaller wiring capabilities. The smallest of wiring materials is engineered by the nanotechnology. The continuous experimentation with molecules and atoms will hopefully one day bring the technology to materialize objects at the push of a button. Replicators are already being tested and retested, which would give us the power to purchase dinner from our favorite restaurant and instead of waiting for delivery the replicator will make our meal materialize right in front of us. Needless to say, all this interest and amazing developments has helped to bring funding into the space. Though it is never easy to get, more angels and venture capital is moving into this branch of science and more large companies are expanding their R&D efforts in search of breakthroughs. You can read more about the relationship of science and both private and institutional investment at www.StockExchangeSecrets.com, a site we like for financial matters. Imagine the limitless future that nanotechnology will bring citizens of the world.